• Low odour, quick drying, permanent ink, lightfast and water resistant. • Markers continue to write if left uncapped for up to 21 days. • Chisel tip line width: 5mm. 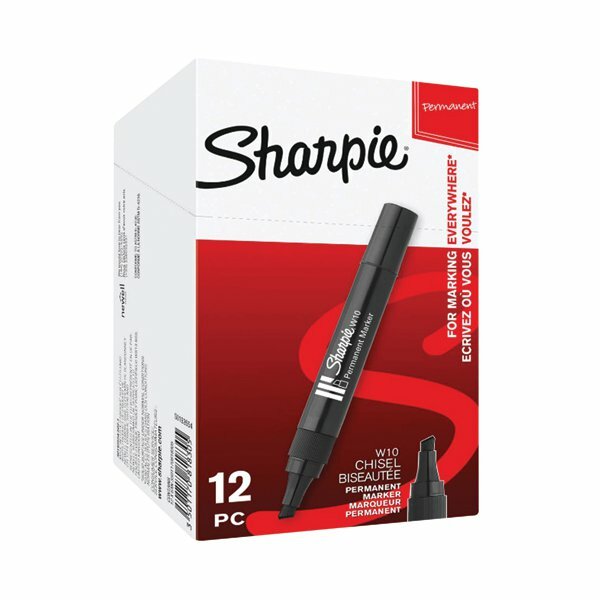 Sharpie W10 Permanent Markers feature a chisel tip for a variable 1.5 - 5.0mm line width, with a bonded nib that can withstand heavy use. The low-odour ink resists water and is lightfast, for long lasting clarity. The marker also features a reflow ink system that prevents ink from drying out when uncapped for up to 10 days. 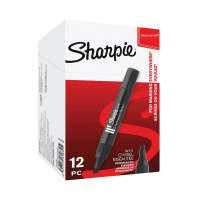 This pack contains 12 black markers.